Quadrofoil Q2 is a result of a four‐year development period, an amazing process of creative thinking, designing, engineering and testing. From the first time you lay your eyes on our exceptional watercraft, you will see that it cannot be compared to anything else in the marine business. 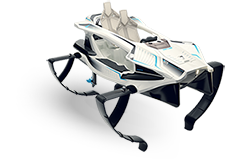 We designed it to be pure art on water, to be unique and recognizable in the flood of many recreational boats, jet-ski's and other vessels. 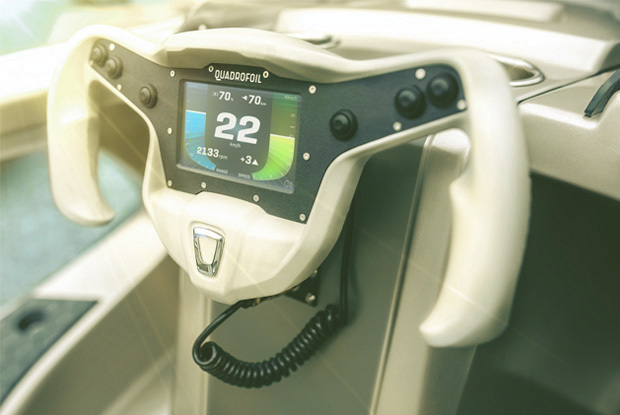 Our designers and engineers have optimized every aspect of the Q2 design, including the new and advanced hydrofoil technology. 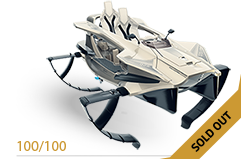 This has given the Q2 a wide‐spectrum of unique improvements in efficiency, range, maneuverability, safety and comfort. 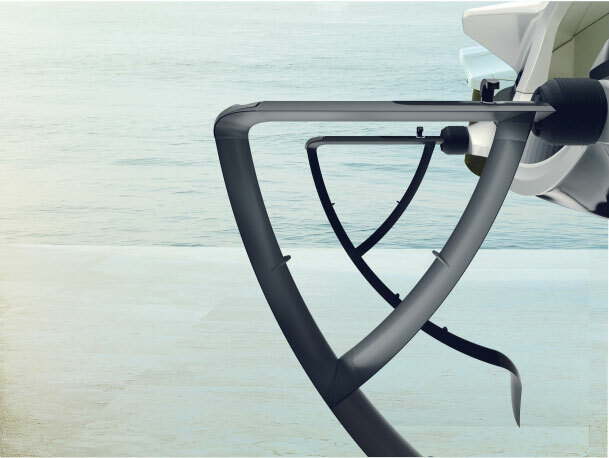 Popularly referred to as wings, our carefully designed C‐Shape hydrofoils allow the Q2 to rise above the surface of the water at just over 12 km/h (6.5 knots) and cut through the waves with complete ease. Special aluminum alloy is exclusively used in the construction, making the foils extra light, super strong and highly corrosion resistant. 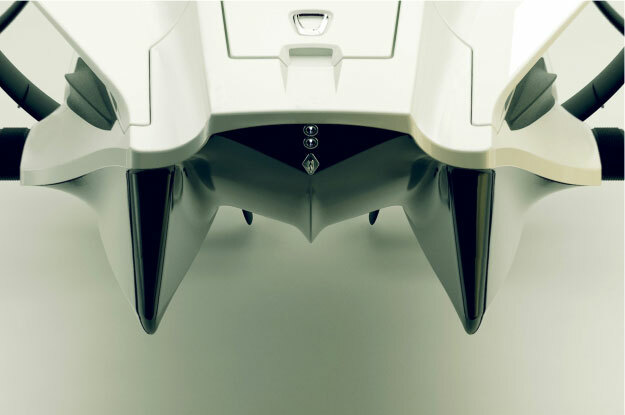 From the top to the winglets, each part of our hydrofoils has been carefully designed and crafted to follow the natural dynamics of water, all to provide optimum control, stability and unmatched efficiency. Support and freedom. Two words that guided us in developing a high‐end ergonomic cockpit, inspired by the automotive industry. We have studied every aspect of the best automotive interior designs - from seating angles and dimensions, to visibility and optimum comfort. With all the basic functions within reach, you have complete control of every turn. 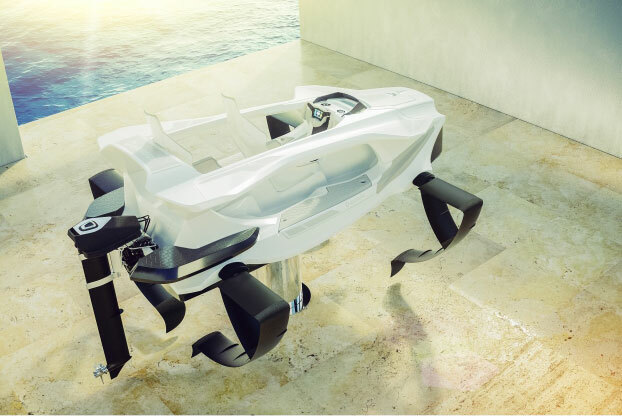 Quadrofoil‘s high performance trimaran hull shape offers stability, top-notch hydro and aerodynamics and spectacular handling when airborne. The lightweight modular hull is made from composite materials and is almost unsinkable due to its airtight top module. It was inspired by the best of three worlds: super fast trimaran speed boats, incredibly agile air fighters and super responsive race cars. It has all characteristics to deliver a flawless performance you will remember for a long time. The Formula 1 inspired steering wheel was carefully crafted with a color touch screen display. Its intuitive user interface provides exceptional control over the quick-responding Q2. Special attention was given top the shape and design of the steering wheel. Our design reflects the awesomeness of race cars and offers excellent grip and optimal reach to all the vessels basic functions. 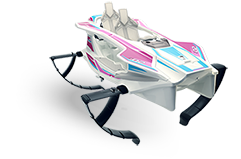 But just to emphasize the cool factor even more, the steering wheel is detachable and doubles as a unique key that unlocks and lets you start your Quadrofoil. Forget about countless gadgets and displays. 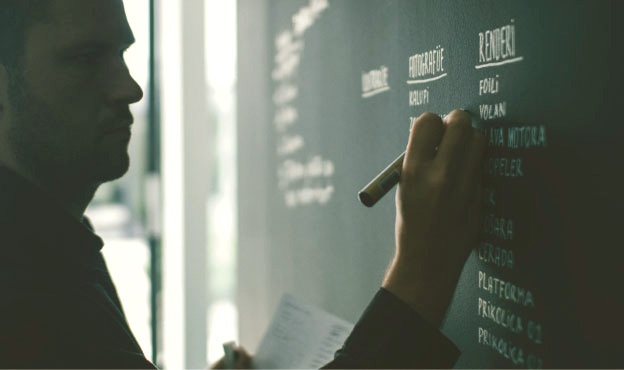 Our interactive color touch screen display is designed to provide with all important information right at your fingertips. Easy-to-use interface will guide you from the moment you enter your PIN number, to the moment you lower your foils with just a press on a button. It also displays all necessary information about the Q2 and the trip in real time!